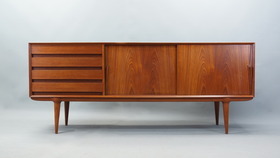 Dansk Vintage in BrisVegas has a new shipment of furniture arriving in the coming weeks. Dansk has over 25 years experience in authentic Danish modern and iconic design classics and offer a wide range of beautiful Danish vintage furniture, lighting and accessories for your home or office. If you love this beautiful style of mid-century goodness, you’d better get yourself over to their site now to check over what is arriving and either buy or peruse and enjoy.